Happy Monday! Hope everyone had a restful, fun weekend! We had a great one! Kicked it off Friday night, and celebrated Cinco De Mayo with great friends. Our grands visited Saturday and spent the night. Sunday was spent spring cleaning our screened-in porch! Not fun but so glad that the pollen that was coating everything is gone!! 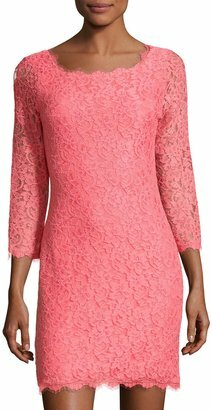 I have a work event this week and planning ahead, decided on this coral pink, silk tunic/dress from Pure Collection. I love the style of this dress as well as the pretty color. 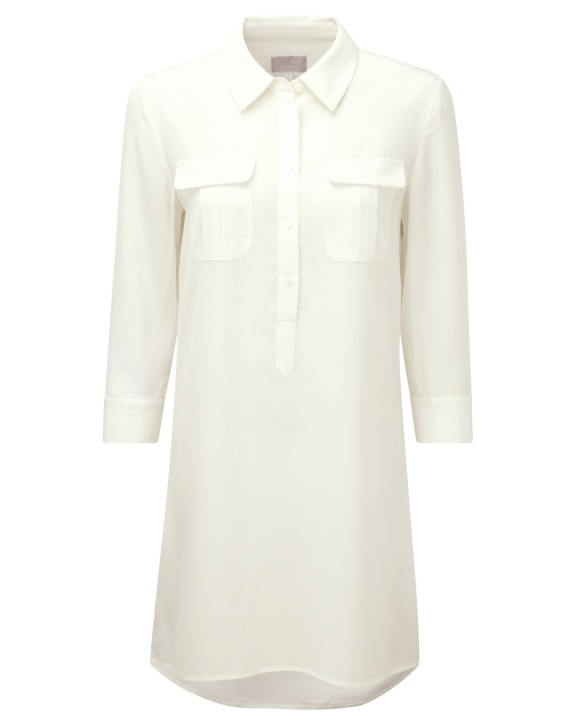 The Coral was last spring's color but their website is still offering it in ivory (on sale). Check it out and the many other options below. Luckily, my 5'4" height allows me to wear dresses that may be considered a tunic on others. There are always positives, ladies! My snakeskin shoes are also FTC (from the closet). When I bought these beauties at Off Saks, I had nothing to go with them. But since they are classics, knew I would find an outfit, or three or four to wear them. Since the dress is pretty bright, I felt these pumps were a good neutral accessory. The bonus is they are piped in the very coral pink of my dress. 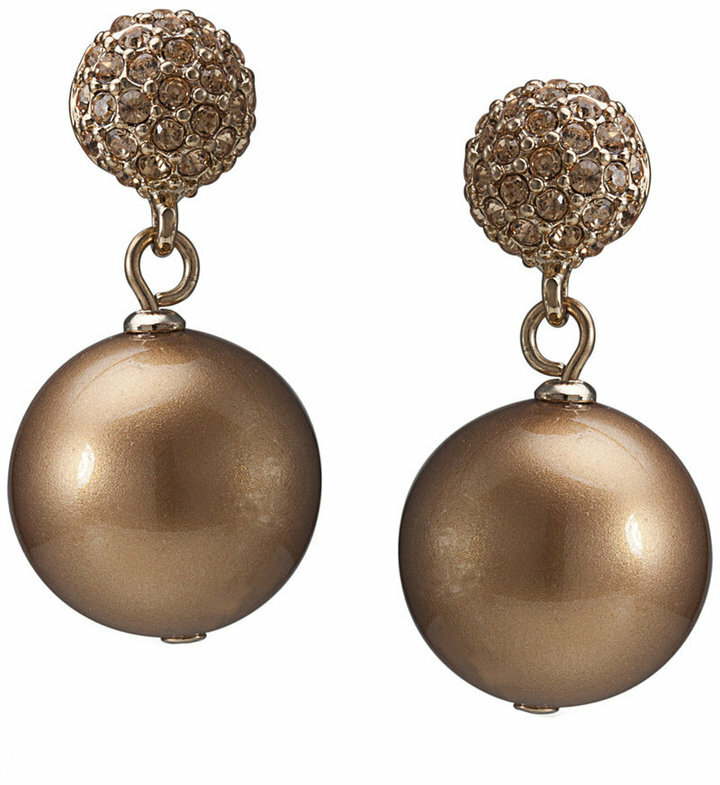 For jewelry, I chose gold Carolee vintage earrings and a matching bracelet to complete the look. I hope your week goes as smoothly as planning this outfit did. Have you ever bought a pair of shoes, with no outfit to wear them with? Can't wait to hear because it was not the first nor last time for me! !